ES-14 in the Schoenberg traditon. Eric ordered this for one of his customers, so don't get to drooling, you can't have it! 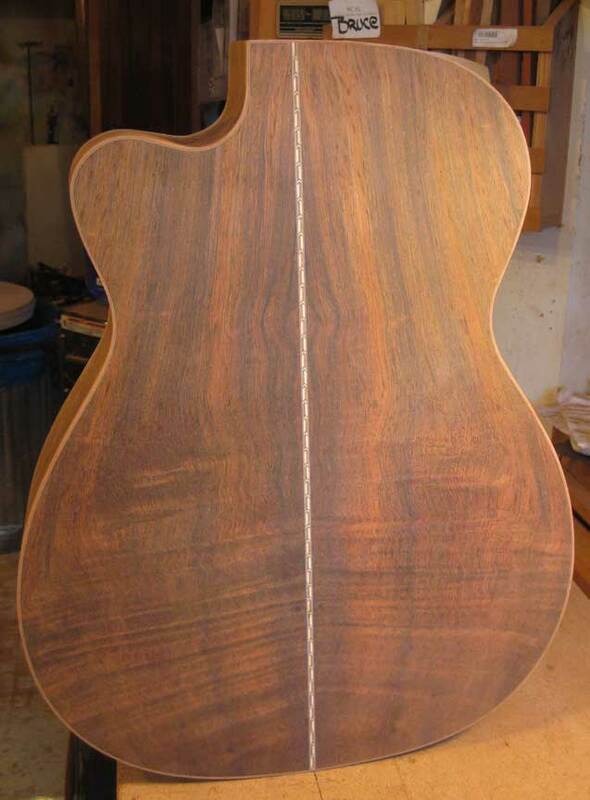 Brazilian Rosewood and Carpathian Spruce. 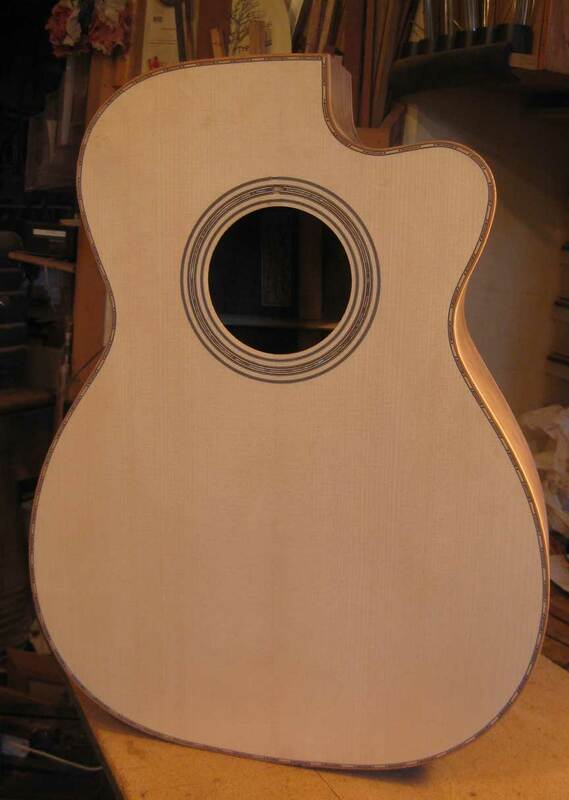 Style 30 trim ala Schoenberg including an Abalone rosette. I forgot to take finished pictures, but maybe the owner will help me out.